Wheels:IRS R-19 Part III Class A for coaching; IRS R-19 Part III Class B for freight; IRS MP-0-3900 for locomotive and AAR-M 208 for freight wheels that are exported. IRS R-16 for Coaching and freight; IRS R-43 for locomotive and Electric Multiple Units. 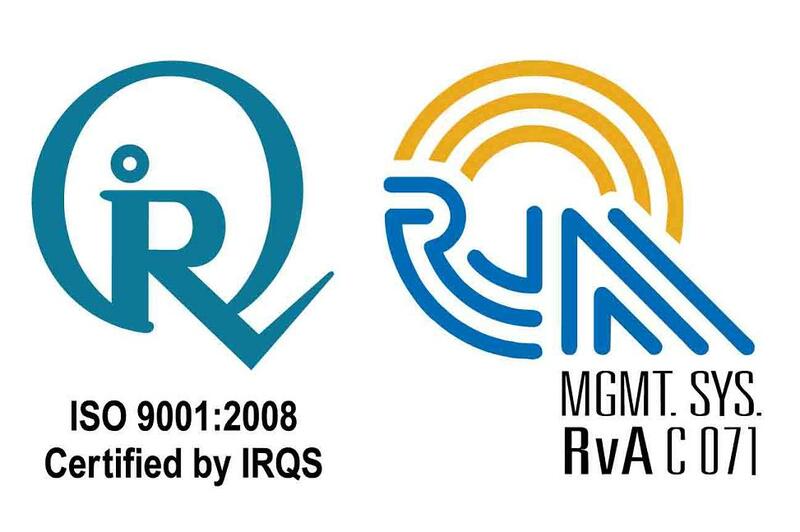 RWF strives for building successful and long lasting relationships with its customers by adopting innovative methods as measured by our quality, reliability and value of our products and services.All our products are issued with a Quality Assurance Certificate. 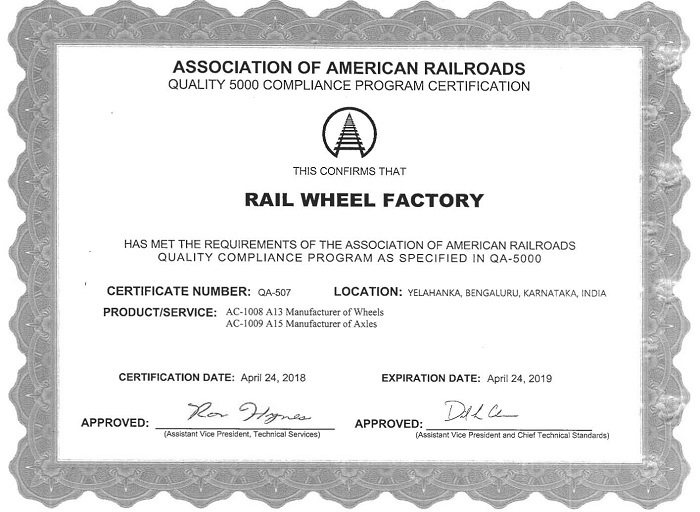 AAR(QA-5000) Certification has been obtained for both RWF Manufactured Cast Wheels and Forged Axles -May 2017.RWF has been re-certified for AAR-QA 5000 in April-2018. Quality is a prime objective of the plant. 100% inspection of wheels is carried out starting from the chemical composition of the molten metal stage till the final inspection including MPT, UT, Hardness and War page. Similarly 100% inspection is carried out of the axles including micro and macro properties of the metal, UT, MPT and various dimensional parameters. Our dedication to quality is reflected in our performance that not a single product has failed on line till date since inception.